As one of the leading car rental companies in Melbourne, AUZ Rental Cars makes your trip more enjoyable and pleasant by rendering seamless cars for hire. We provide convenient and cheap car rental to all destinations across Melbourne for a competitive price. Whether you are visiting Melbourne for pleasure or for business, hiring a car is the best way to explore this charming city, which is rich in natural beauty, culture and tradition. AUZ Rental Cars are dedicated to keeping the promise of providing car rentals in Melbourne at outstanding prices. You can be sure of hiring a car for affordable pricing and making big savings from our services. 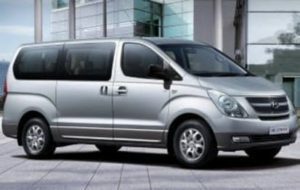 We have a broad spectrum of vehicles from leading brands with different seating options, so you can easily find the vehicle that suits your needs. If you are traveling in a group, you can hire our minibus that can accommodate 12 passengers at a time. AUZ Rental Cars also provide car rental Tullamarine and serve its esteemed customers by rendering valuable services. As all our car rental rates include GST, loss and damage coverage, your liability for a vehicle becomes zero. We do not impose airport surcharges, road fees and damage charges, which in turn helps you to save a great deal of money on car rental. This gives you a peace of mind and lets you enjoy the trip without any frustration. We are striving a lot consistently to offer better services and maximum choices at a cheaper price. We have launched car rentals in Melbourne with the intention of catering to our customers’ needs. Customer satisfaction is our prominent objective and our professionals are ready to take a step forward to accomplish it. We ensure that our customers get reliable and friendly services from our staff members. We provide chauffeur and airport transfer services both for business meetings and soothing holidays. Our chauffeurs will take you to the intended destination in the most convenient and safest manner. Our fleets of vehicle available for car rental in Tullamarine are maintained in a good condition. AUZ Rental Cars make you feel secure throughout the journey in Melbourne with our reliable services of international standard. We have a specialized car booking engine to facilitate our customer to reserve the appropriate vehicle for their trip to Melbourne. Our team of professionals is always prepared to meet your needs in an efficient and timely manner. Feel free to contact us today to get free quotes for your car rental in Melbourne!